Finish off your look with this on-trend belt. 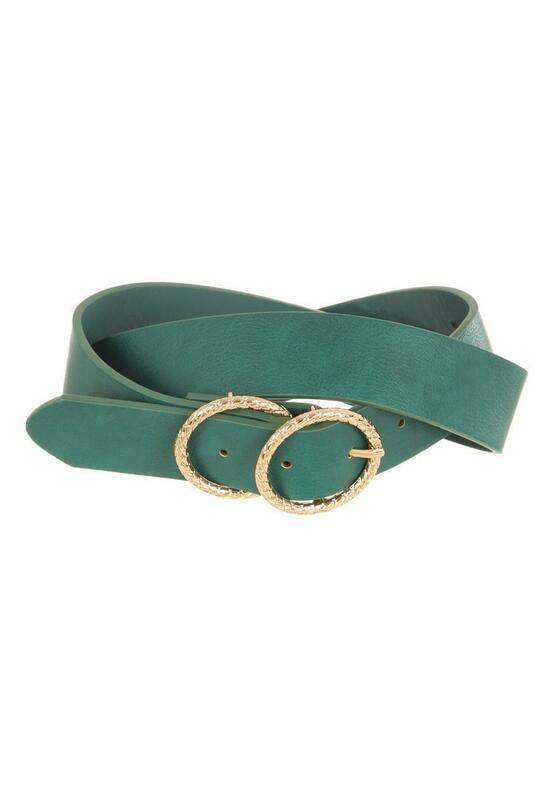 In teal green featuring a double circle buckle it'll make a stylish addition to your collection of fashion accessories. Wear on the hips or waist.